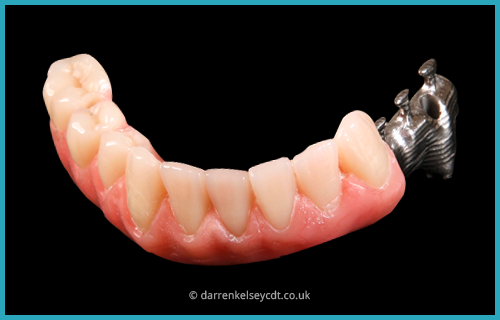 The full arch zirconia bridge is not just another implant bridge option it is one of the finest engineered dental prostheses available. Bio HPP flexible and elastic just like bone combined with The Visio.Lign veneering system is an innovative, highly aesthetic solution comprising of multi-layer veneers for lifelike / anatomical teeth and accessory materials in perfectly matched shades.. It represents the future of tooth replacement technology in form, function, and aesthetics. Our full arch BIOHPP Visio.Lign veneering system offers distinct advantages over other alternatives, which makes it the option of choice for eligible patients. BioHPP is flexible and elastic like bone. The Visio.Lign veneering system is an innovative, highly aesthetic solution comprising of multi-layer veneers for lifelike / anatomical teeth and accessory materials in perfectly matched shades. Restoring your mouth with this groundbreaking treatment will dramatically improve your ability to eat and speak, confidently and comfortably. Individualized to each patient's needs, desires and priorities.